The Big Brag, Gertrude McFuzz, I Can Lick 30 Tigers Today!, King Looie Katz, The Glunk that got Thunk, Too Many Daves, The Zax and What Was I Scared Of? In print, these short stories have been favorites of parents, teachers & young readers for several generations. Like the other titles from Oceanhouse Media, this app also has an eye on educational enhancements. For the read-a-long effect, each word is highlighted as it is read. Tap on any word to hear it spoken, even in the 'read-it-myself' mode. These book apps also have ample settings, including page guides and recordable narration. For interactivity, most of the items pictured in the story react to a light tap with a visual image of the word with accompanying audio. I find that omBooks are also the easiest titles to share with multiple children since they do not feature a lot of interactivity and have very little or no animation. These titles are also perfect for bedtime, since they are relatively short. The Big Brag - A rabbit and a bear both boast that they are the "best of the beasts" only to be humbled by a mere worm who sees "the two biggest fools that have ever been seen!" Gertrude McFuzz - A young bird named Gertrude obsessed to be prettier learns a valuable lesson about accepting and believing in oneself. I Can Lick 30 Tigers Today! - A boastful young cat learns the perils of bragging when he overconfidently declares he can lick 30 tigers. King Looie Katz - King Looie of Katzen-stein insists that his tail be carried around which leads to his kingdom revolting with "demo-catic" results. The Glunk that got Thunk - A small cat tells the story of his imaginative sister who "thunked a Glunk" and how he must team up with her to get rid of the disruptive creature. Too Many Daves - Mrs. McCave names all of hers sons "Dave" which causes problems in her family and leads to an amusing list of names she wishes she had named them instead. 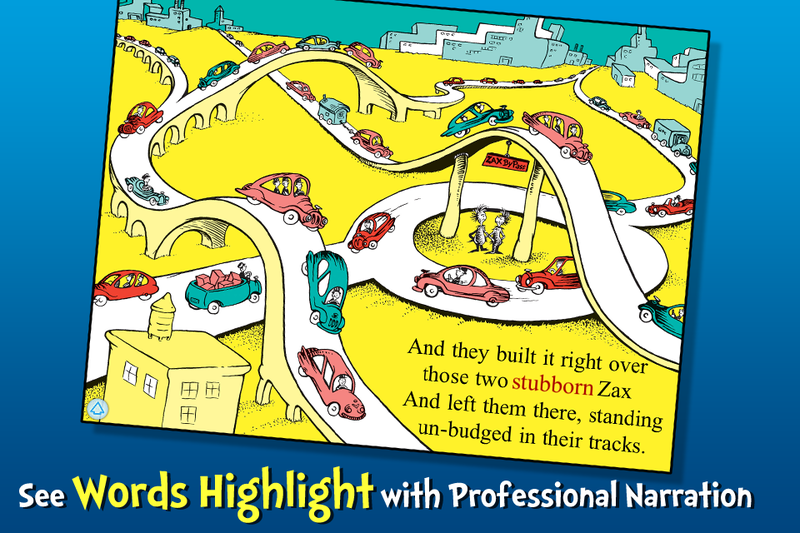 The Zax - A north-going zax and a south-going zax stubbornly refuse to move out of each other ways and get literally get stuck in their tracks. What Was I Scared Of? - A timeless message about fear and tolerance as the story’s narrator repeatedly meets up with an empty pair of pale-green pants, both who are equally afraid of each other.